Two of the most influential people in my life were my grandmothers, who taught me to respect our earth because nature provides all the beautiful bounties we need to sustain us. They also taught me that I am a part of nature, and the importance of mindful nourishment for my body both within and without. Following those tenets, our days included wholesome foods from the gardens and a daily dose of Jack LaLanne. In the early 1970’s, ahead of their time, my grandmothers cautioned me against the ill effects of hydrogenated fats and high fructose corn syrup. Hearing the echoes of wisdom from my grandmothers (and whispers of Lynyrd Skynyrd urging me to simplify my life and return to basics), a little over seven years ago I rid my pantry, fridge, and cleaning cabinet of leading national brand products containing unsafe artificial additives and harmful chemicals that had crept into my life. The purge included cat food and litter. At first, the task seemed overwhelming and anything but simple. However, after researching and reading labels, it became much easier – swap one brand for another with fewer ingredients that are all natural and safe for humans, pets and the environment. The cat litter I searched for had to fit the same criteria and it had to be easy to use. The wood chips, shavings and pellets fell short because I found them stinky, messy, and time consuming. 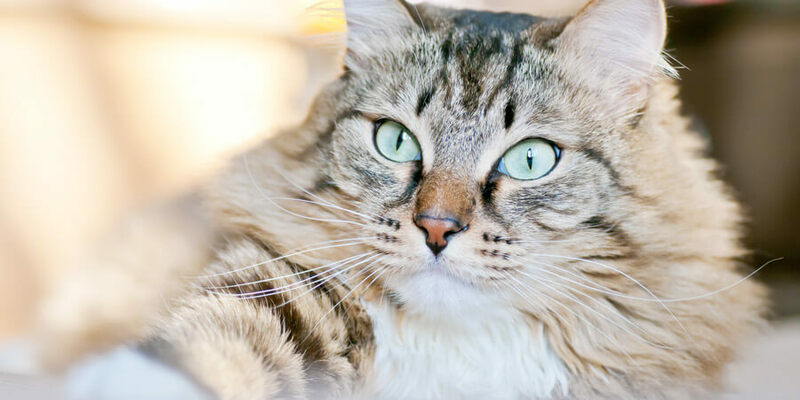 World’s Best Cat Litter™ is proud to partner with the Cat Writer’s Association, Inc. for a special series of guest-written posts on how to keep your cat happy and healthy, and make your life more hassle-free. Ramona D. Marek is an award-winning freelance writer and former special education teacher who holds a master’s degree in education. She finds inspiration in her two feline muses, Tsarevich Ivan, a pedigreed Siberian, and Natasha Fatale, a full-time diva adopted from the local shelter. Read more here: http://www.petwriterscentral.com/ramona-marek.html. At a cat show, I saw a demonstration of World’s Best Cat Litter (WBCL). The single ingredient, whole-kernel corn fit my criteria for safe and all natural, but was it effective and easy to use? I asked the sales rep to prove to me this litter was worthy of its lofty name. He poured straight ammonia in a glass jar and asked me to sniff it. Taking a deep sniff as if it were roses, I got an odiferous punch between the eyes! Then he poured ammonia in a jar of WBCL and asked me to smell it. Wait a minute; I fell for this once. Surprisingly, there was no ammonia smell. Then I saw a video demonstration of a sales rep eating WBCL from a new bag. Little did I know I’d face that behavior at home. My Siberian cat licks the litter off the floor and while it is unappetizing to me, it is reassuring to know that it is non-toxic to him. Cleaning the litter box is a dutiful task we accept when we bring a feline companion into our home, but it needn’t be a chore. In this 24/7 tech saturated, chemically laden 21st century, the hassle-free litter box duty of scoop, bag, and toss (or scoop and flush) is the easiest part of my day. Between writing, traveling and being my husband’s one and only indispensable full-time photography assistant, time is a premium in my household. Products in my home are safe, all natural alternatives that more closely resemble products my grandmothers would use or recognize. Using fresh local produce, I cook from scratch and I don’t eat processed foods (chocolate’s natural, right? ), I clean with natural ingredients and begin my day in the gym with Pilates, yoga or weights. Daily I reflect on my grandmothers’ collective wisdom, often sipping tea and, perhaps, listening to Skynyrd. TIRED OF SCOURING THE WEB FOR CAT CARE TIPS?